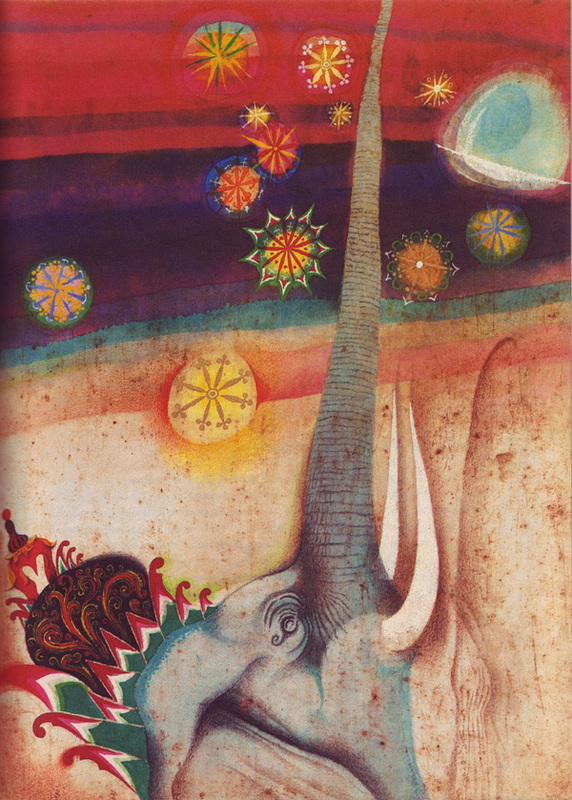 I stumbled across these illustrations by Jaroslav Serych for the 1979 children book called Contes d’Indonesie (Tales of Indonesia) while browsing the bizarre kid’s books section of A Journey Round My Skull‘s flickr page. From what I’ve been able to dig up, they illustrate the adventures of Kanchil, an Asian animal of sorts, who likes to torment other creatures with mischief. But don’t quote me on that. What I absolutely love about these are how gorgeous and imaginative they are. It’s as if early Kandinsky and later Dali collaborated to blow some kid’s minds, tapping into some otherworldly inspiration. When I have a child these are the kind of books I’ll be reading them… to a soundtrack of Lisa Gerrard or Loreena McKennitt. I imagine a child’s mind to know no limits until taught, so when it comes to opening up their imagination I’ll be aiding how ever I’m able. Which means they’ll likely be hearing some strange stories along with a healthy dose of Dr. Seuss. I’m sure this is just the tip of the iceberg of bizarre kid’s books too. Any particular favorites that stood out to you as a child? 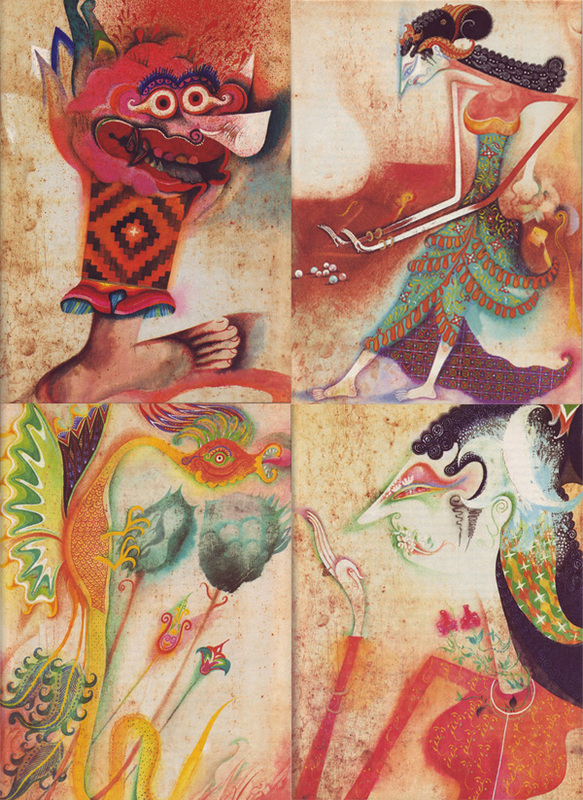 If you like these, you should check out his illustrations in “Fairy Tales From Japan” by Miroslav Novak, 1970. 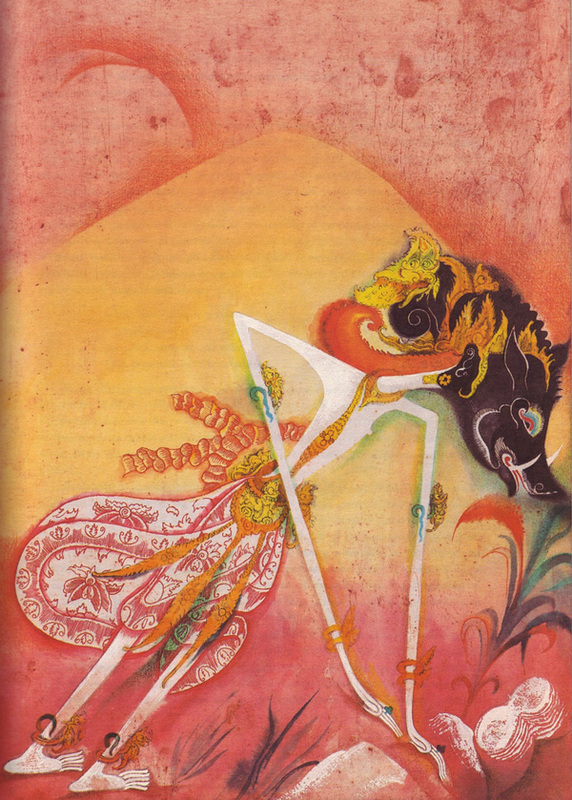 Another of my favorite illustrators is Kay Nielsen, a Dutch illustrator. Some of my favorites of his can be found in “East of the Sun West of the Moon”. My favorite was “Tales of the uncanny”. You’ll find some masterpieces in it, especially “The horse from the sea” and “The silver forest”.